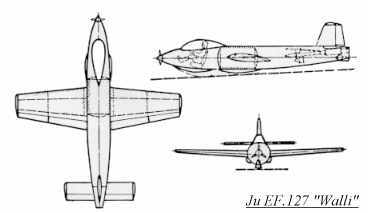 This Junkers project was similar to the Ju EF.126, but instead had a Walter HWK 105-509A-1 rocket engine. Take off was assisted by two 1000 kp (2200 lb thrust) solid rocket boosters. 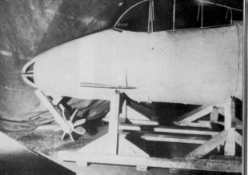 It was estimated that the "Walli" could climb to 10000 m (32833 ft) in 75 seconds, with an endurance of 11.5 minutes. Armament was to be two MG 151/20 20mm cannon.